McKee Coins will be continuing to sell the estate of Dr JW “Doc” Carberry on Saturday July 8th, 2017. This is the twenty first part in the series and continue to provide great buys on coins and collectibles from around the world. 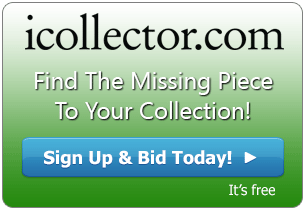 Over 1100 lots of US and World Coins, paper money, and collectibles, will be featured for online bidding through iCollector.com. Most items have low start prices meaning plenty of great buys will be had. McKee Coins publishes live auctions on a monthly basis and consistently deliver great service, and great values for buyers and consignors. The auction has several dozen lots featuring various Lincoln Cents as these are one of the most popular buys at McKee Auctions. The top value is early in the day at Lot 641. 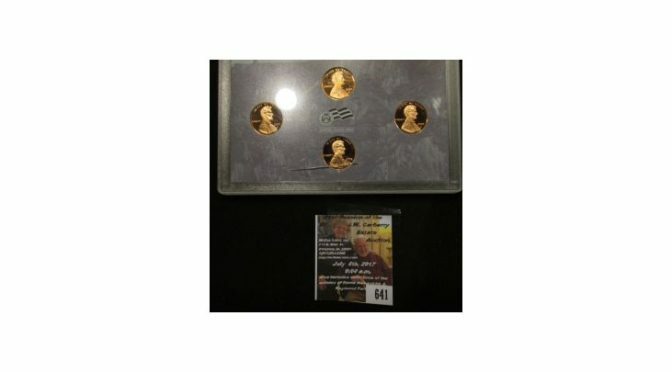 Up for grabs is a 2009 S US Proof Set Four Piece Lincoln Cent Set. It comes in its original plastic case as issued. The auction finds dates all the way back to 1909, through the 20s and 30s, and into the 1960’s. All great buys opening at a dollar. Photos are available in the online catalog. McKee Coins have a good selection of Liberty Seated Quarters to chose from. The best buy is Lot 20. This is one of the values of the auction and is an 1853 Arrows and Rays US Seated Liberty Quarter. It is graded as fine and is coming from the collection up for auction. Bidders can search the catalog for quarters from any device and all lots have a photo of them in their holder and full descriptions. This fun auction begins at 9AM Central Time on Saturday July 8th, 2017. All from the McKee Coins location in Ottumwa, Iowa. Absentee bidding is currently available and all lots are online ready for viewing. Check back with iCollector.com each month to see the current offerings from McKee Coins. They are happy to answer any questions professionally through email or telephone.